Recorded/performed at: Grevillea Recording Studios, Brisbane Miriam Hyde Alex Raineri 4 mins, 43 sec. Recorded/performed at: Grevillea Recording Studios, Brisbane Carl Vine Alex Raineri 11 mins, 18 sec. Also includes: 'Reflects dans l'eau', from 'Images Book 1' / Debussy -- Prelude no. 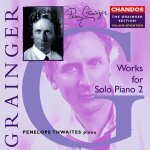 8, from Eight preludes for piano / Frank Martin -- Six piano pieces, op. 19 / Schoenberg -- Two rhapsodies, op. 79 / Brahms -- Shadow sketches / Alex Raineri. 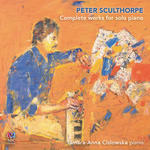 CD: Sydney International Piano Competition of Australia 2000 : solo highlights.